Lithotherapy is the study of the effects of stones and crystals on the energetic body (vital field, chakras ...). Its application is therapeutic, for a global harmonization of the energy system and for the spiritual development of the individual. 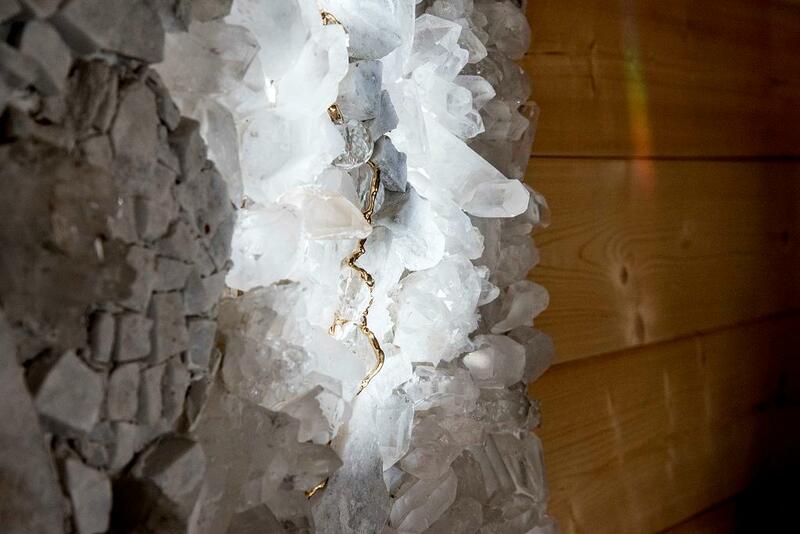 The Crystal Room by Elizabeth Contal® was thought of and the crystals were placed in consciousness. The rock crystal on the wall comes from Arkansas (US), Tibet or Brazil. 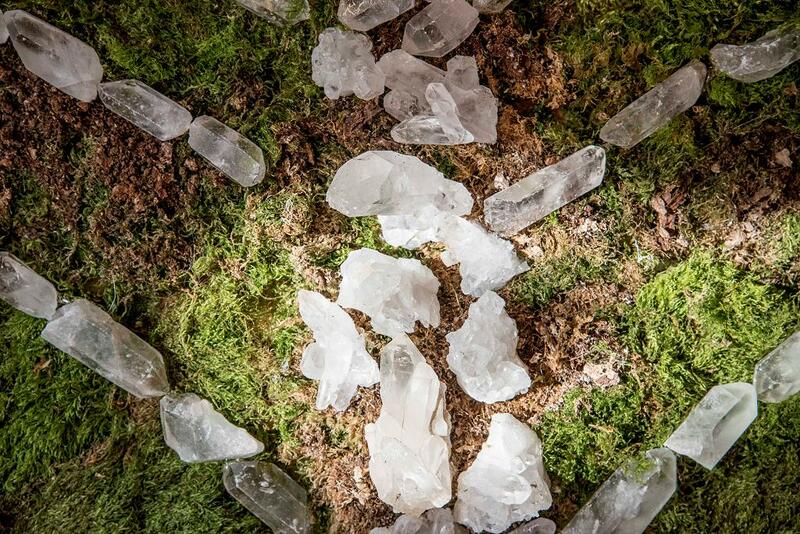 Several hundred rock crystals are placed in a thoughtfully manner on one or more walls of the room, treatment cabin, or relaxation area, according to very specific waveforms. The Crystal Room by Elizabeth Contal® is a space of creative expression, zen and refined. It is created in an eco-design approach, focused on the harmony of materials and poly sensorality. It is a magical place where one can find more quickly and deeply his state of relaxation, rest and let go. On the aspect of quantum physics, being bathed in a naturally high frequency of vibration allows the physical and subtle body to find a true state of harmony and serenity. It is therefore the whole organism that is elevated to a new sustainable and beneficial balance, moving the person away from the state of negative mood that eventually leads to illness. 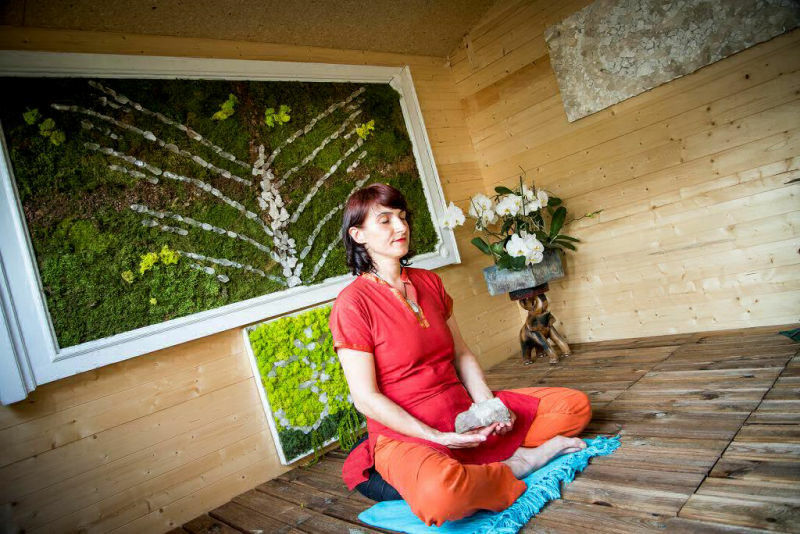 On the contrary, the Crystal Room by Elizabeth Contal® allows to raise the body in a state as favorable as possible to the lasting harmony, to the balance and to the state of natural health. Chromotherapy, through the choice of different colors in the Crystal Room, offers a powerful rebalancing of the main neurotransmitters depending on the shape and physical, emotional and mental performance of the person. She then has access to a positive spirit (serotonin), a strong creativity and intuition (dopamine) and an increase in mood. The care provided in this space takes a whole new dimension in terms of access to well-being in a sustainable way. With a new edition of guided music relaxation recordings, a real relaxation session can be offered in a sound therapy bath. We note that the practice of relaxation / meditation leads to a drop in blood pressure and a decrease in neuroses, aggression, anxiety and the risk of depression. Meditation can also improve memory, sleep, personal relationships, job performance, the immune system and many other things. 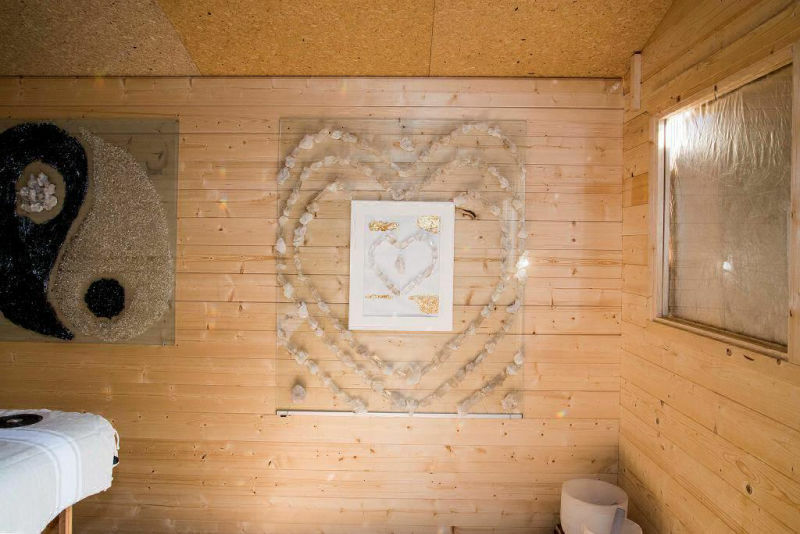 After having experienced the Crystal Room, the person leaves with a precious gift: the stone he needs most to easily find the vibratory balance that is most favorable to his state of serenity and his health, in the long run . This crystal therapy concept is the only one in the world to bring together the latest scientific discoveries based on natural therapies. This wide concept of the Crystal Room by Elizabeth Contal® is a unique creation in the world.